I have also added a permanent link to Truth Media in the chemtrail link section. 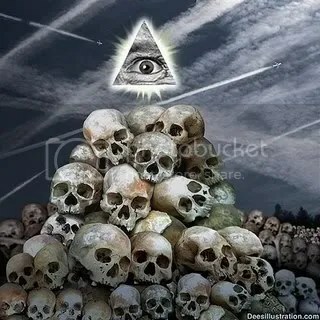 This is the spot to continue the discussion of chemtrails. Readers are encouraged to submit links, theories, observations, etc. In particular, quality links to videos, web-sites and photos are appreciated, as these blogs can serve as useful repositories for evidence to easily share with friends and family that need some enlightenment. The spraying never stops…..nor do your comments and observations about it. So here is the spot to continue the discussion! Here are two pictures I snapped at the end of October, 2009. Location: A New Jersey town near NYC. Time – about 7:30 AM. 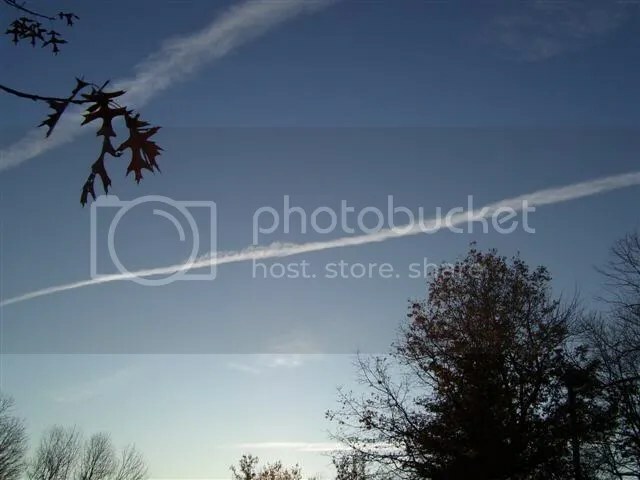 Air was crisp and cool, sky was a beautiful blue….because the chemtrail boys had literally just started getting to work! By about 11:AM the sky was completely hazed-out with the chems. These pictures are completely unaltered except for being re-sized to fit the blog. 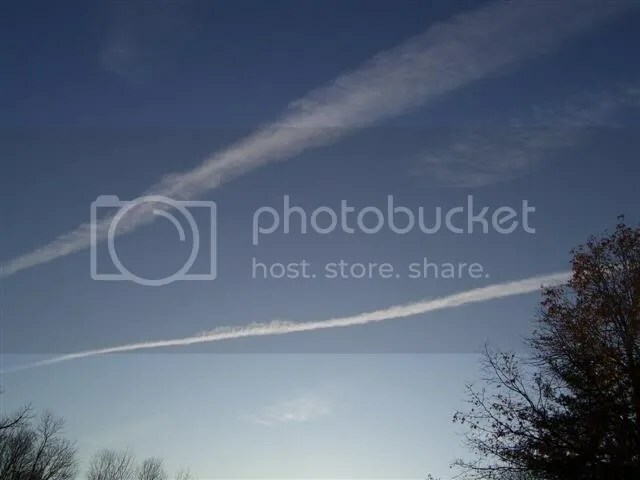 And once again, for those of you new to the topic, or for those of you not quite sure of what your eyes are seeing, here is the difference between naturally occurring jet “Contrails” (which is nothing more than ice crystals from jet exhaust that dissipates very quickly) and “Chemtrails” which hang and spread for HOURS in the sky! I hope everyone will educate themselves and then speak-up and against this monstrous scheme “hidden-in-plain-sight” being inflicted on the people of the planet!